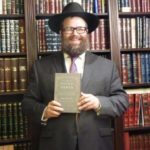 The Tanya, the foremost spiritual text for Chabad Chasidim since the late 18th Century, could be the next big thing for secular self-help, says Rishe Groner in an article published by Tablet Magazine that is going viral. Recently I fell into the same old discussion with a close girlfriend. As we talked about work, dating, and all the day-to-day trials of New York City women in 2017, she told me that if I stopped assuming that everything would just repeat as it always had, I might actually be able to break the cycle. Then, when she expressed anxiety over people’s criticism of her, I reminded her that her critics might just have problems with how they see themselves. Sounds New Agey, right? For her, it was, sort of: She was speaking the language of mindfulness, meditation, and Buddhist retreats. But me? I was parroting the text I’ve spent most of my life studying: the Tanya. And once again, our conversation reached that point of discussion: Can we please start studying the Tanya together? The original Hasidic self-help book, known as the Tanya, is a compendium of talks and teachings. 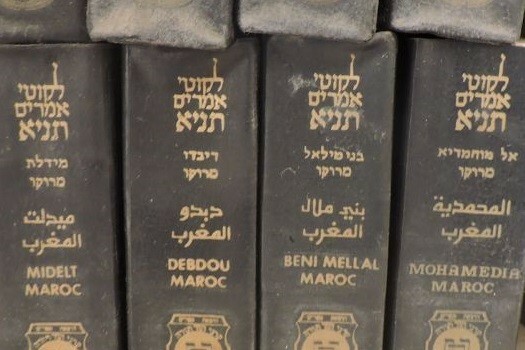 Its first section, Likkutei Amarim, was apparently written in the late 1790s in Lithuania by Rabbi Schneur Zalman of Liadi, one of the first leaders of the Hasidic movement of ultra-Orthodox Judaism. (The original edition was said to be lost, and we now work from an 1814 edition.) 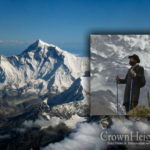 At a time when practice was defined by intellectualism, not mysticism, Hasidic Judaism was about ecstasy, prayer, divine service, and connection to a “rebbe,” or master and teacher. Schneur Zalman originated the Chabad branch, which capitalized on the intellectualism of the Jewish scholarly world, bringing its intellectualism to the Hasidic emphasis on experience. Filled with references to Torah, Talmud, and of course, Kabbalah, the Tanya offered an approach to spiritual transformation that was designed to arouse even the headiest, heart-numbed scholar into a genuine love and awe of the divine. 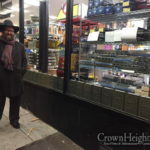 Chabad-Lubavitch is now known more for its ubiquitous “Chabad House” outreach centers; meanwhile, the movement’s central text, the Tanya, remains obscure even to many who are touched by the Lubavitchers’ outreach. And to be fair, it’s not an immediately accessible read. Tefillin and Shabbat candles are, indeed, easier on-ramps to Jewish practice. So, mere days after my conversation with my friend, I was elated to find, in a Brooklyn bookstore laden with Jewish ritual items and leather-bound tomes, a Tanya for the uninitiated. With a distinct dark green cover and typeface that looked more appropriate for a Williamsburg café’s chalkboard, I pulled off the counter display The Practical Tanya, a new edition adapted by London-born, Brooklyn-based Rabbi Chaim Miller. Click here to continue reading at Tablet Magazine. You mean the quote from the Gemarah?